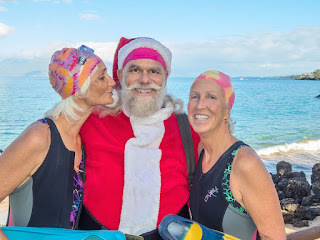 Santa paid a visit to the Maui Pink Cap swimmers on Christmas day after he finished his evening rounds. He even joined us for our ocean swim. 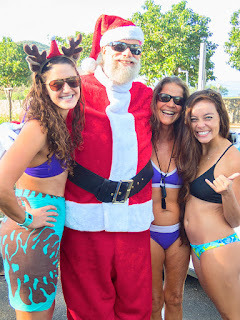 Click HERE for lots more photos from Sunday's swim.